Just before Christmas I got together with designer Karie Westermann to look back at 2014 and discuss her plans for the New Year and hear news about imminent designs releases. Quickly we slipped into a mutual retrospective of the past year and Karie even interviewed me! 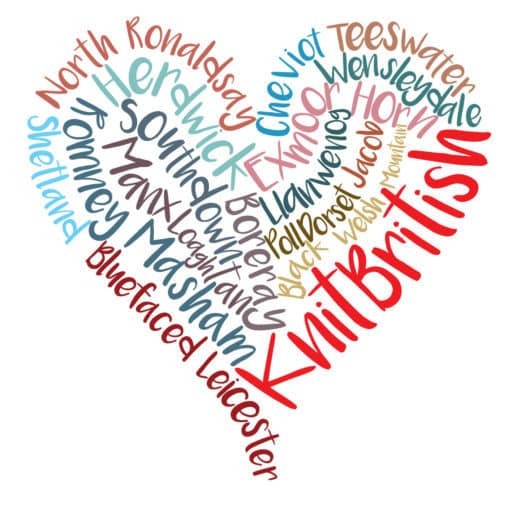 I had intended to include this interview as part of the next podcast, but we had such a great chat and covered such a lot of topics that it really deserves a special episode; I can’t think of a nicer way to kick off the new KnitBritish podcast year! Both dosed with the cold (please forgive our odd coughs and wheezes!) we started by looking back at 2014 which, for Karie, included industrial injury; making the decision to become self-employed; the completion of Doggerland Collection and magazine and book commissions. 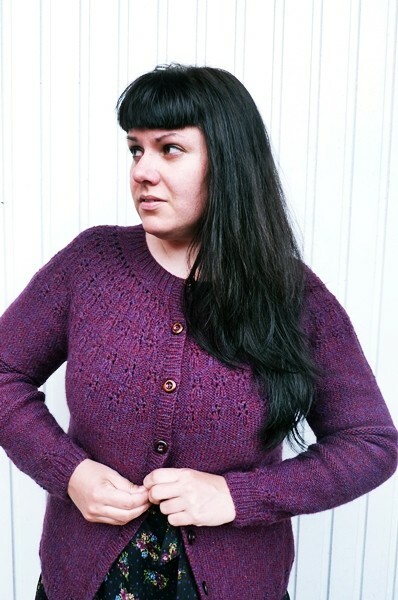 2014 heralded Karie’s first garment design – the Scollay Cardigan – released in KnitNow magazine in November. The Scollay Cardigan was followed, hot on the heels, by the Koselig vest and Karie joked that she now feels like a real designer now that she is producing garments! I asked Karie about the processes of designing for her own work as well as that of designing for magazines commissions and in collaborations with others, including Lilith, of Old Maiden Aunt yarns and designer Susan Crawford….but without wishing to divulge too much about the work that may be yet to come from her for Susan’s Knits from a Cold Climate, Karie whisks us back to our retrospective of 2014! Asking me about my favourite knits of 2014, I gush about the Lushes, which leads us to gush on a more general level about the wonder of cardigans. 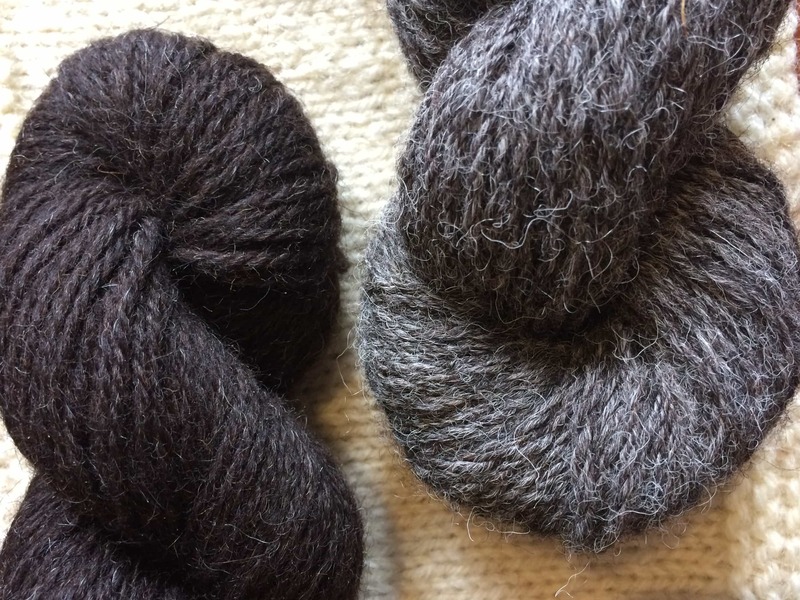 Karie tells us about her own favourite knits – The Orkney Cardigan, by Marie Wallin, her own designed knits Vedbaek, Scollay Cardigan and the Mirja hat and glove set. The topic of resolution was next on the cards. 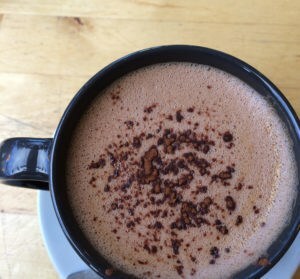 My knit challenges of Fair Isle and socks aside – we talked about using a word to use throughout the year, instead of making traditional resolutions. What a unique way to think about the coming year and what one wants to aspire to, or achieve. 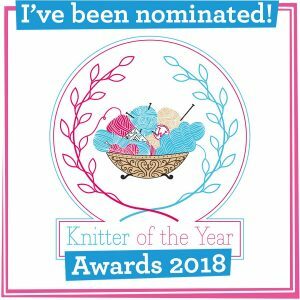 We talked little about what we have enjoyed most about 2014 and what I am looking forward to, which turned out to be what we are both looking forward to….The Edinburgh Yarn Festival. Reminiscing about how fantastic the festival was in 2013, we get excited about how plans for the 2015 festival have evolved and how Jo and Mica have created an amazing buzz for the coming event and the podcast lounge. We also talk about the importance of our knit communities and social media and how they keep getting stronger. Karie discusses the imminent Old Maiden Aunt 2015 club, which sees her first sock design releases and she reveals she is working on another big concept project. While she gives that project time and consideration it deserves throughout the year, Karie will be releasing a thematically-linked series of stand-alone patterns intermittently throughout the year. Authors and Artists will be inspired by her favourite books and art but, instead of having the pressure of a strict time-released collection, these patterns will drop like pennies from heaven throughout 2015. There will also be accompanying blog posts which reveal the inspiration behind the designs. The only hints are that the first pattern will be released around the end of January and it is an accessory! We talk about our favourite knitting memories of 2014; for me that involves other people and #GirlsGoWildForWool trip to Glasgow with Jo Milmine, Clare Devine, Karie and @WonderFishy, which was truly top notch. The LushPodKAL was also a massive highlight for me. I asked Karie about her own highlights and discuss the Nordic KnitWorks event at the National Museum in Edinburgh and Brighton Unwind were her highlights. Karie talked about the different kinds of knitters at these event who belong to different fractions. It is amazing that sticks and string can birth so many different kinds of knitters, from casual knitters to the knitters with a “Capital K”. 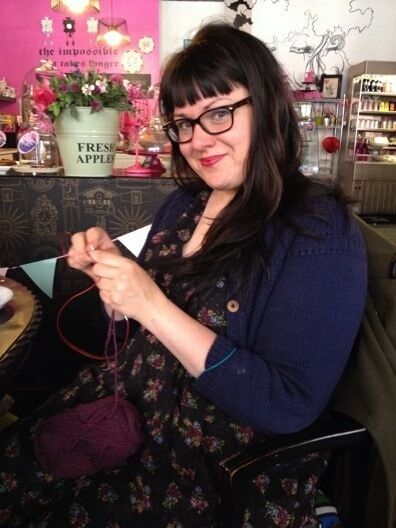 You can find Karie at fourth-edition.co.uk, on Ravelry and tweeting as @KarieBookish. Please subscribe to her blog & social media to be kept up to date with all her news and design releases. Thank you for this episode. My favourite knitting must be my lush cardigan knitted during the LushPodKAL. I really liked my short knitting trip to Edinburgh at my birthday, meeting some other knitters thanks to Ravelry and exploring the shops. It also means I have enough yarn in stash for some new sweaters, but even if I have made a small list, I don’t consider it to be my resolutions. I like to change my mind and see what comes along. 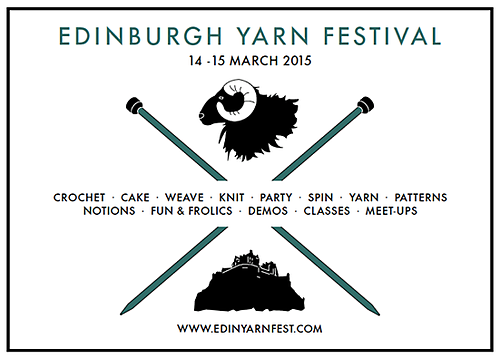 You have been a real inspiration and I’m really looking forward to the Edinburgh Yarn Festival. Well you two stopped me in my knitting!! Really enjoyed listening to you both, ended up just sitting in my lounge with my headphones on just simply listening. It was also really nice to hear Karie’s voice after reading her words for so long. Happy new year to you both! forgot to say loved the Spencer at the top of the post! Isn’t it gorgeous? I have always loved that one. The colours and the lustrous hanks! Thanks, you guys! We had a lovely time – even though I kept running to the oven, as I wAs going to a kids party straight after & was cooking chicken legs & savoury pastries. All edited out, but you can hear the oven door squeak at one point! I would have forgotten I was cooking something!!! 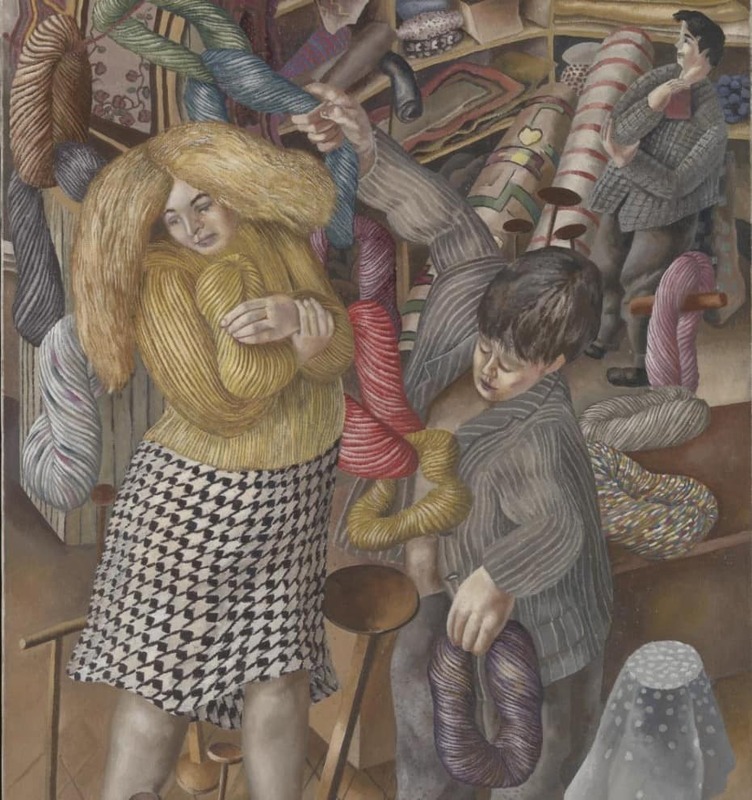 It’s not a painting I am familiar with despite art coming before knitting in my timeline! So many things in this resonated, the idea of a word for the year (mine is tidying) and reflections on being self employed, following your own vision, committing to your own dreams and listening to yourself. Important themes and an inspiring entrée into 2015. I love what you are both doing! I loved listening to both of you! Fab episode and so inspiring.